How Could We Have Ever Known? This poem was written a few days before my own wedding. We had a hard time deciding on readings for the ceremony, and I told my wife I would write something. I actually wrote the bulk of this in less than an hour, with some fine tuning. We asked a friend to read it in the ceremony, and he did a great job! 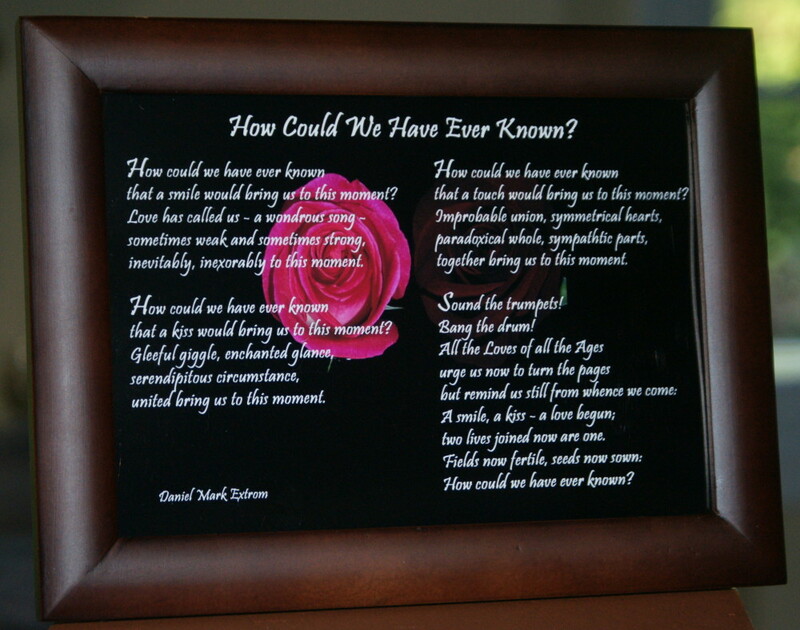 It was, I think, a nice and personal touch, and we had this poem etched and inserted one of our wedding photos. It looks great! 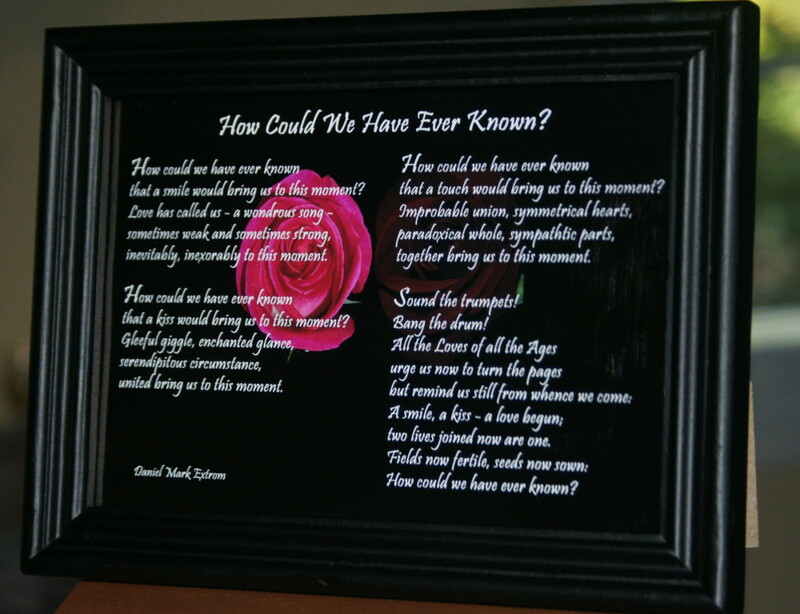 Here I am offering the same poem in photographic form, 7 by 5 inches, with a choice of black or brown frame. 7×5 inches. Black or Brown Frame. Frames are subject to availability. We reserve the right to substitute frames of similar color.